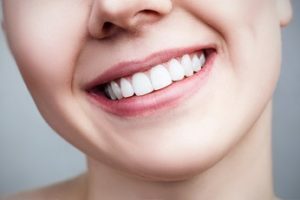 Can Fixing a Gummy Smile Improve Your Oral Health? Your gums may not seem like a significant part of your smile’s appearance, unless they’re uneven and cover too much of your tooth structure in some places. Known as a gummy smile, excessive gum tissues create an asymmetrical gum line that can make some teeth seem smaller than others and your whole smile seem off balance. Fortunately, cosmetic gum contouring provides a convenient but highly effective solution to correcting them. Even better, fixing a gummy smile improves your oral health in several different ways, including reducing your risks of destructive gum disease. When a gummy smile is highly noticeable, its visual effects can seem like the most pressing concern. Every time you show your smile, you might be reminded that its appearance isn’t what it could be. However, your gums play an important role in your oral health – protecting your teeth roots – and when they don’t frame your teeth properly, that role can be interrupted. Oral bacteria can easily reach your teeth roots and lead to severe infection, or settle underneath your gums and cause severe gum disease. If your gums become diseased, then your smile’s appearance, and much more, can face the greater threat of tooth loss. While cosmetic gum contouring has long been a popular solution to fixing a gummy smile, today’s treatment often involves the use of lasers rather than a traditional scalpel. A specially-calibrated soft-tissue laser can quickly and precisely trim away excess gum tissues, creating a better and more attractive frame for your smile with minimal bleeding and no need for sutures afterward. In addition to more esthetically pleasing results, the laser also helps eliminate harmful oral bacteria that may have gathered underneath your gums, reducing your risks of developing gum disease. Besides affecting your smile’s appearance, a gummy smile can also increase your risks of periodontal (gum) disease. To learn how laser gum contouring can fix both, schedule a consultation by calling Modern Smile in North Hollywood, CA, today at 818-763-9353.